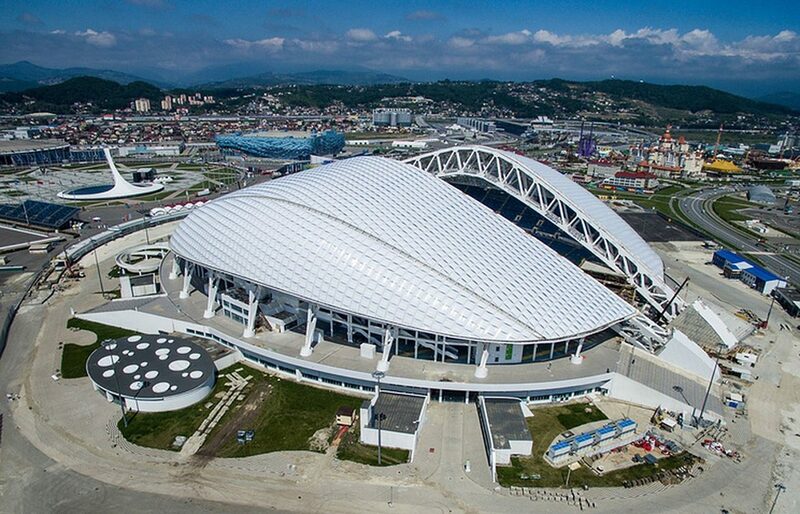 The FISHT STADIUM (SOCHI) is a stunning stadium called “Fisht” & is located in the famous resort city of Russia, Sochi. This arena was erected in 2013. 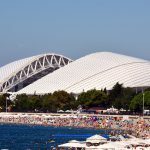 The area for the construction of “Fishta” is quite problematic – the mountains and the sea. 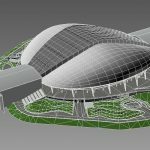 The architects planned to build the structure in such a way that it was possible to carry out various kinds of sports events in full. We can say with certainty that it happened. 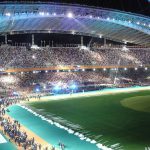 By the opening of the opening capacity of the arena was 40 000 spectators, whether it was expanded to 47 000. First, a project was created, according to which, the arena was to change the configuration. It depended on what kind of event it was supposed to take. 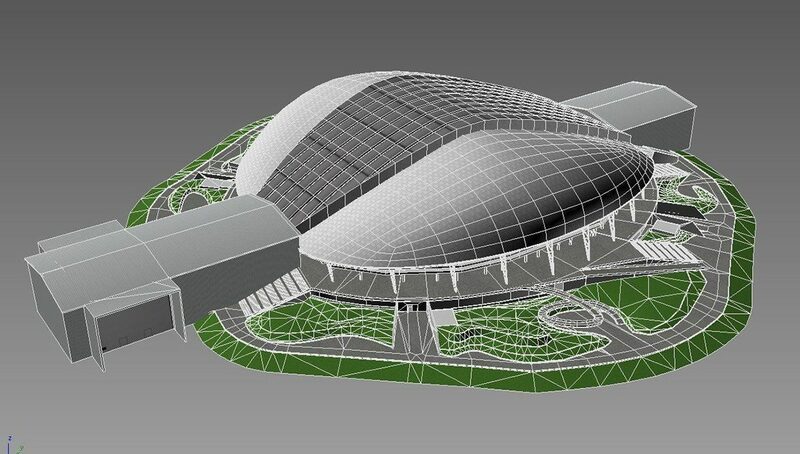 The construction of the stadium “Fisht” was carried out by an architect from Australia, Damon Levele. 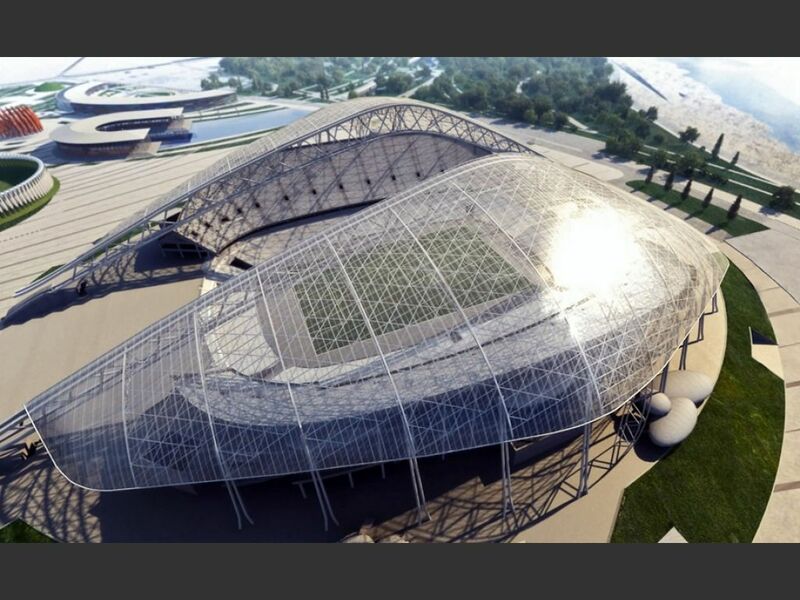 He also designed the main arena for the 2010 World Cup. 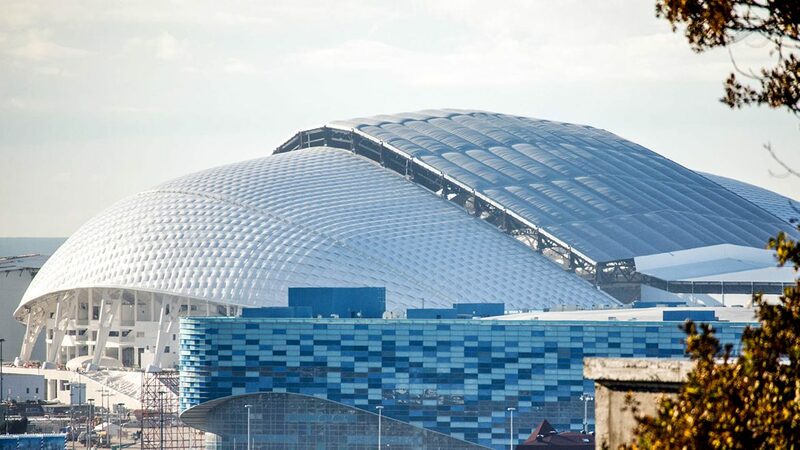 He is developing a draft of the Sochi stadium, the architect wanted the building to look like an egg of Faberge. 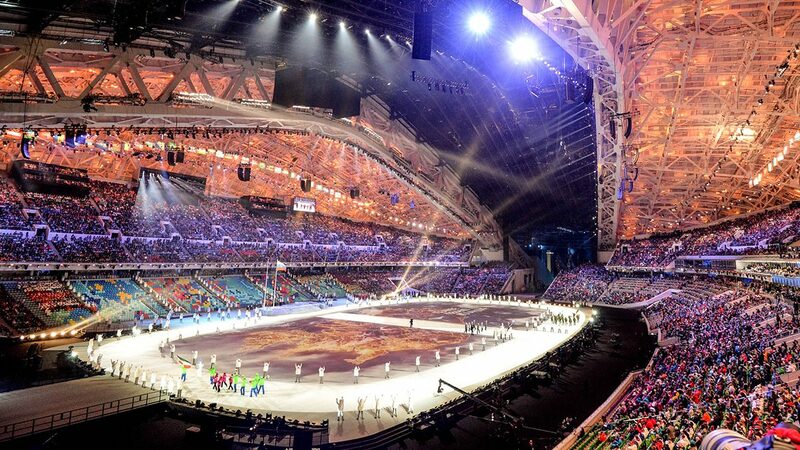 As already mentioned above, in February 2014 the opening and closing of the Winter Olympic Games was held here. 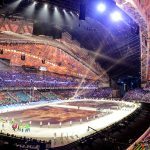 And in March – the Paralympic Games. After the end of all these sports events, the arena was closed for reconstruction. 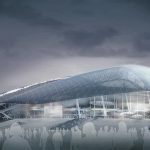 At first it was planned to expand the number of seats for fans to 45,000, but this decision was later canceled. 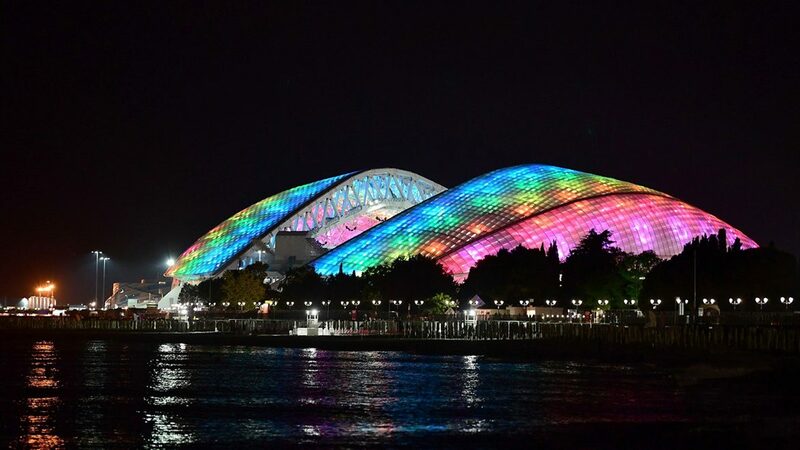 In 2017, after the reconstruction was completed, the first match of the Russian national team with the Belgian national team was held at Fisht. This match ended in a draw. 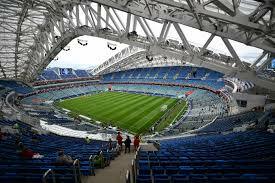 In May of the same year, the first football match was held – the Russian Cup final. 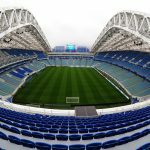 Lokomotiv and Ural met. In this match, the victory was won by the team from the capital with a score of 2: 0. After this game, visitors left only positive reviews about the stadium. 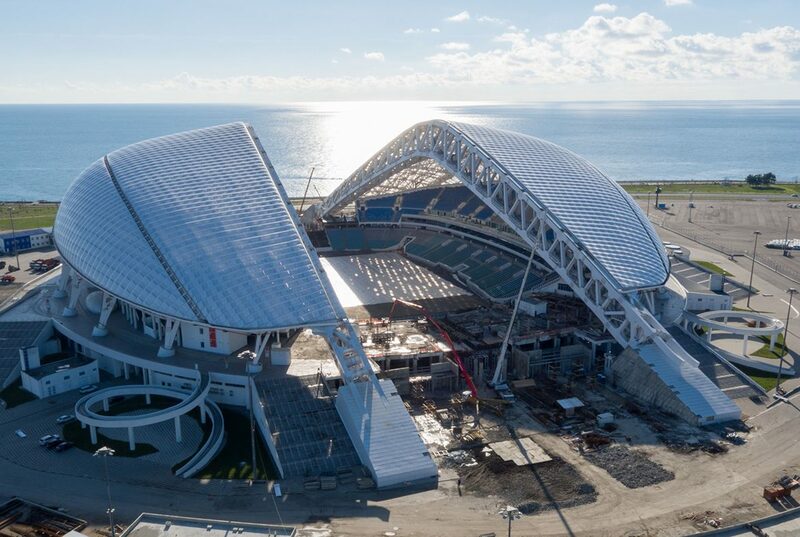 The stadium, located in Sochi, fully complies with all established norms for holding such a world event as the 2018 World Cup. This arena combines everything – convenience, nature, chic look. 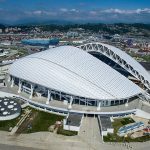 Like any stadium, Fisht has interesting unique facts about itself. 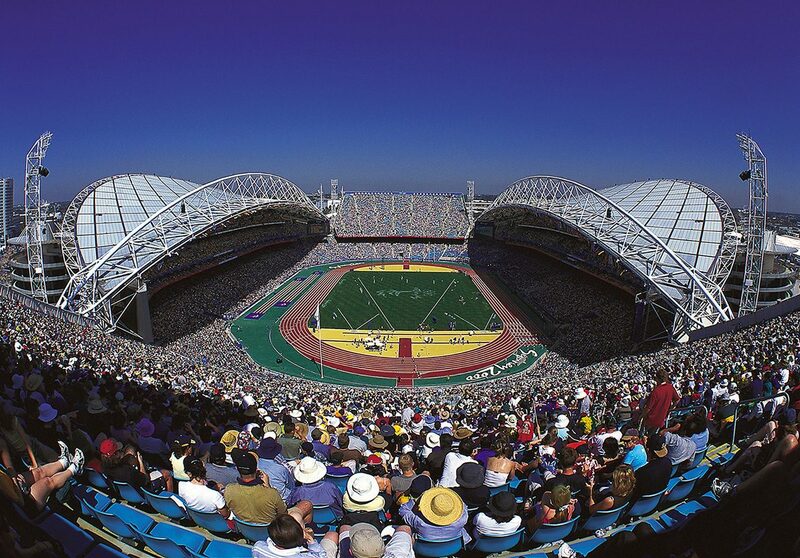 Initially, the stadium was built for the Olympic Games and various entertainment events. In this arena there were not enough places to play football teams, as well as the necessary lawn. 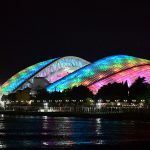 Over 2000 LED lamps are built into the roof of the building, which gorgeously illuminate the stadium. Football lawn is artificial and natural. Land on the lawn was collected from all over the country. At the same time, toxicity tests were carried out. In the cold season, special lamps will be sent to the grass to prevent it from freezing and remaining in perfect condition. 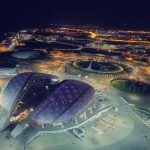 The roof of the structure is constructed taking into account all the features related to climatic conditions – humidity, sea, precipitation, wind. Thanks to such a roof, the stadium seems to be “breathing”, not retaining moisture. 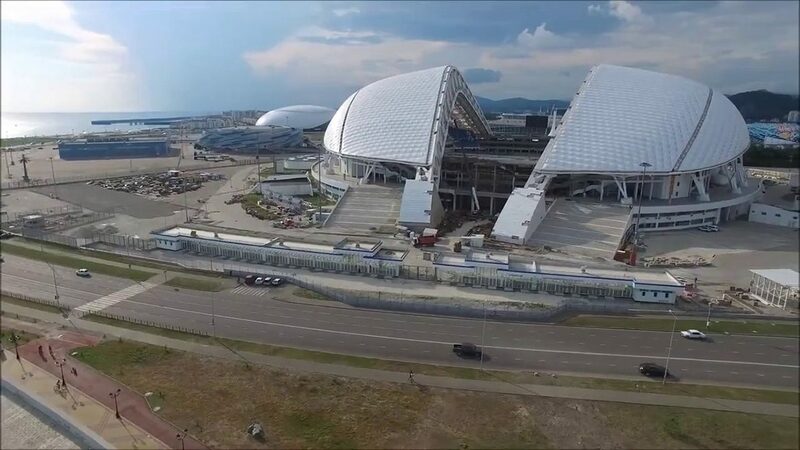 The cost of reconstructing the stadium is, and approximately one billion rubles. The shelf has heating in the winter season. During this period, 30 kilometers of pipes are heated. 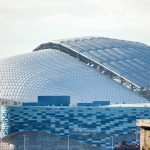 When the Confederations Cup was held, most of the goals scored in the stadium “Fisht” – 12. During the Confederations Cup, the most beautiful goal of the tournament according to the fans’ version was scored. 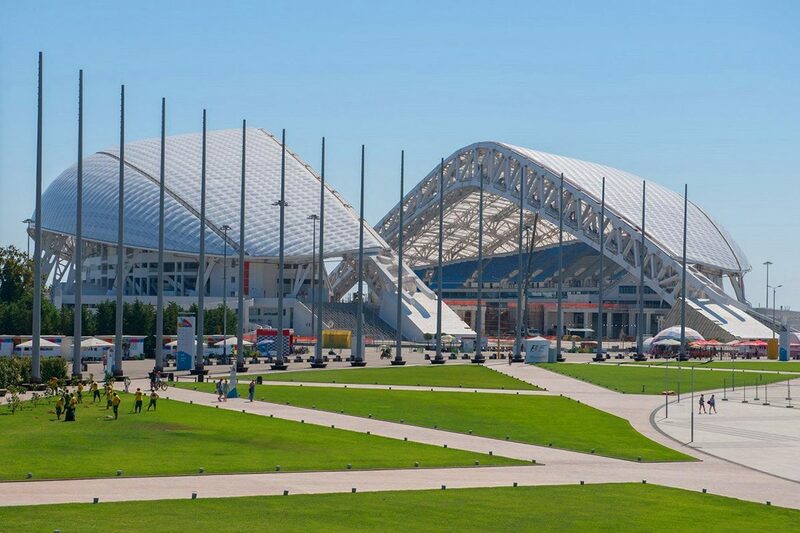 At the entrances to the stadium there are about 170 special pavilions for inspection of visitors. The rostrums on all sides went through additional steps to improve security. They are fenced with nets. This is very convenient, for example, if the fans fell down the phone. 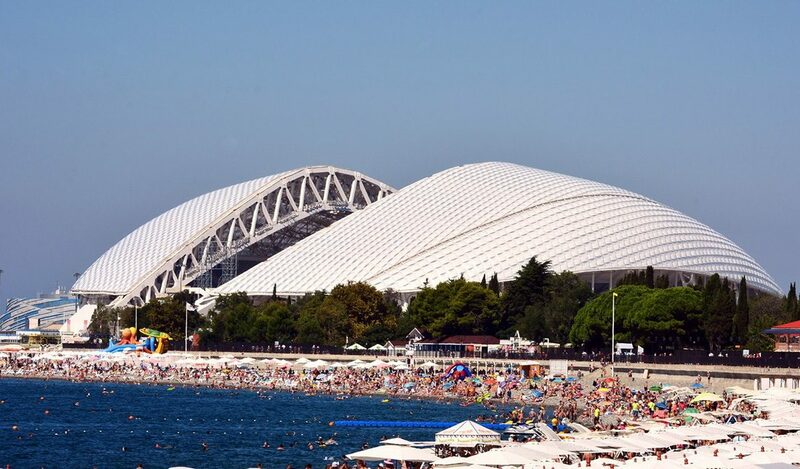 Fisht is one of the eight stadiums in the world where grandiose events took place. 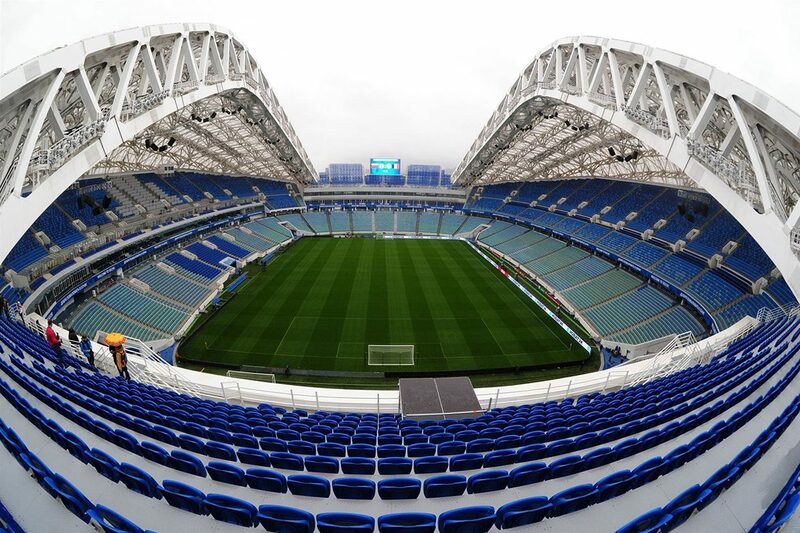 At the same time, the 2018 World Cup in football of the group stage, 1/8 and 1/4 finals will be held here. In March 2017, Fisht received a so-called safety passport. It identifies all the ways for evacuating people during emergencies. 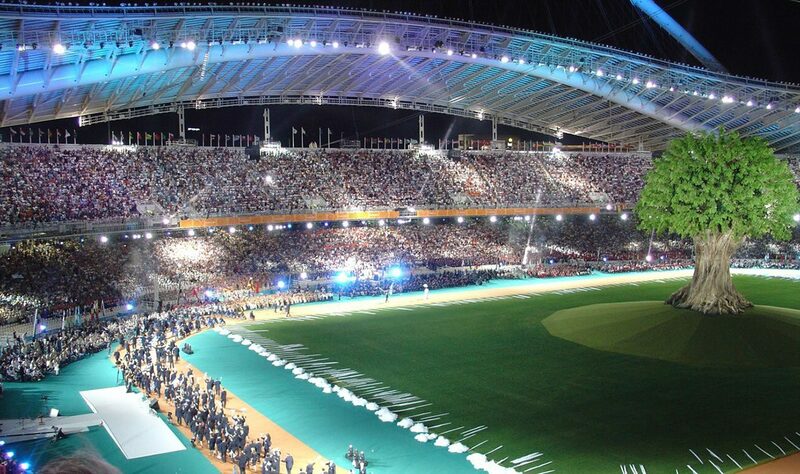 This document confirms the readiness of the stadium for large-scale international events. Around the stadium is the Formula 1 race track for possible tournaments. 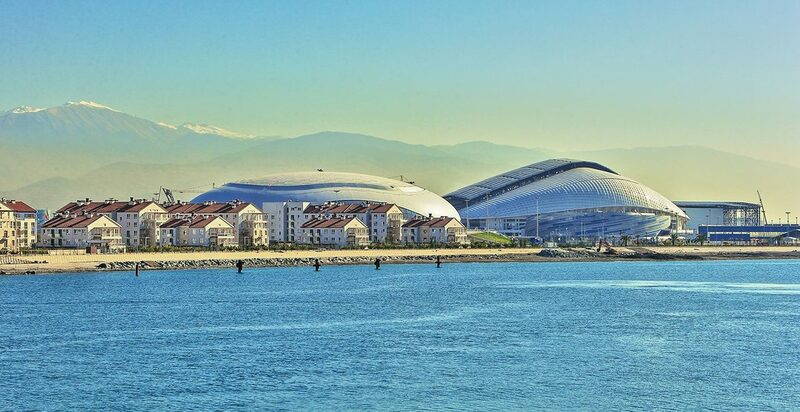 The snow top of the stadium looks harmoniously against the backdrop of the Caucasus Mountains. 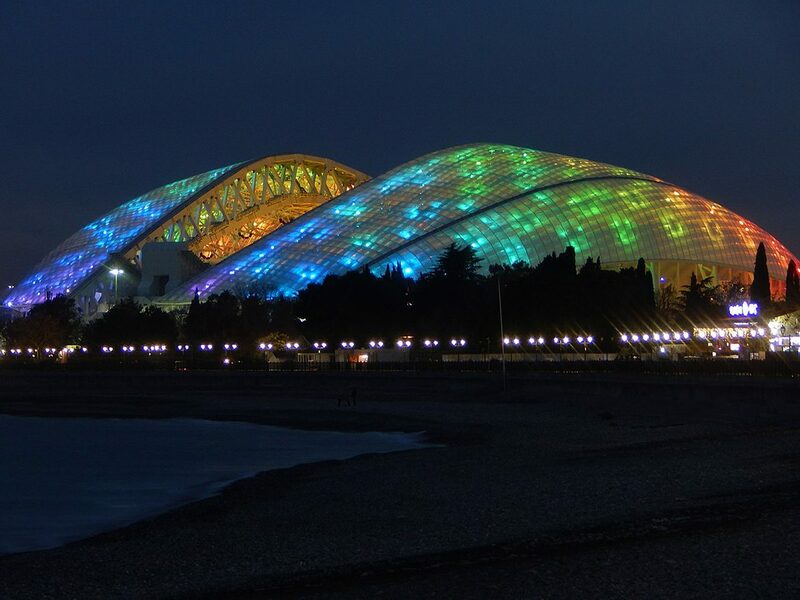 Fisht is not only a sports facility, but also one of the main attractions of the resort city. Sitting on the podium, you can examine the mountains in detail, starting from the foot, ending with the summit. 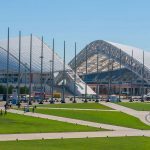 The number of dismantled structures before the Olympics was 3,800 tons. 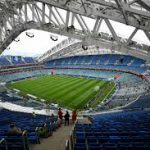 About 500 million rubles will be needed annually to maintain the stadium in excellent condition. 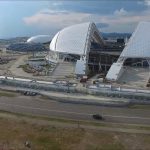 The spectators who managed to visit the stadium in Sochi, only on the positive side respond to this construction. The entrance to the stands is very well thought out, there is an organized system of skipping fans. When visiting the stadium do not worry about that you can be late for the match. There are many entrances here. 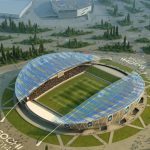 The ticket will indicate not only the information with the date of the match and the teams, as well as the number of the entrance. There are signs all over the arena. 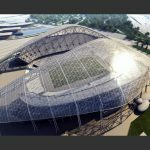 Even when visiting the stadium for the first time, it will be difficult to get lost on it. 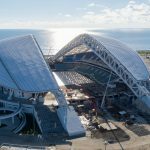 Since the stadium “Fisht” is very high, only the general picture will be visible from the upper stands, and below you can see all the details of interest. Food and various drinks. This includes alcoholic beverages. Sports equipment and equipment (scooters, bicycles, skateboards, etc.). Toxic, corrosive, poisonous and toxic substances. Umbrellas, whose height in the closed state exceeds 25 centimeters. Animals (except for guide dogs). Various sound devices that can distract players from the game play. Any type of weapon, including cutting and stabbing items. Materials with religious, political information. Various propaganda materials that call for violence, racism, nazism. Bulky items, the width, height and length of which in total exceeds 75 centimeters. Items that appear to resemble forbidden ones. 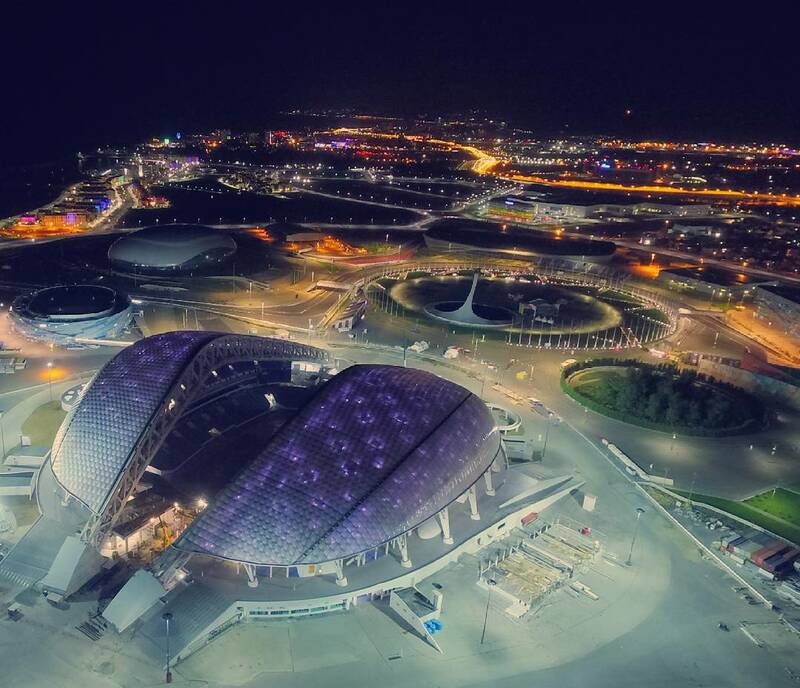 Location: Sochi, Olympic Park, Adler district. Purpose: sports and absolutely all entertaining events of any scale. Number of seats in the stands: 43 700 people. Number of press places: 400. Number of places for people with disabilities: 360. Number of storage rooms: 2. Opening hours: Monday-Friday from 9.00 to 18.00. Channels in Viber and the Telegram: in Russian and in English. Electric train. 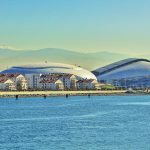 For non-native fans it is possible to get to the stadium on the train “Swallow”. The interval of traffic of the train is from 15 to 20 minutes. All timetables for this type of transport can be viewed on the Internet and choose the most optimal option for yourself. Bus. Prior to the stadium are the free routes 57, 57k, 100, 124s, 125s, 135. Shuttle buses. Routes that will be marked with the letter S. You can get there by having a ticket with you. The car. 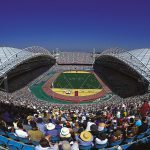 Getting to the stadium by private transport will be quite problematic, because the Olympic Park will be closed. Visitors have the opportunity to purchase season tickets for parking in the stadium. The number of parking near the stadium will be limited. Therefore, in retaliation, where the fan can leave his car, you should take care in advance. 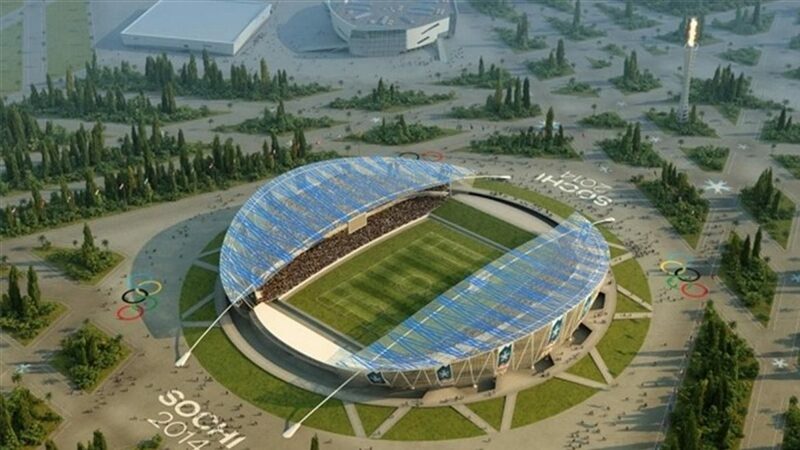 For city guests it is recommended to choose a place of residence closer to the stadium, using hotels and hotels of any kind.